On this last day of Tech Week, I want to focus on an often overlooked, but vital, player of the tech world—the project manager. Project management is a demanding and thankless profession, requiring a higher than average amount of ball juggling and incurring high levels of stress in the process. And while project management is necessary in nearly every field and industry, the importance of project management, and by association the project manager (PM), is often belittled or unacknowledged. As you can imagine, the individuals who choose to devote themselves to this profession are a special breed of individual indeed. And today, we celebrate the project manager by shedding some light on this difficult job. As a former technical project manager and now as a marketing manager, I’ve never found it easy to describe my job. At the basic level, I make sure things get done (hopefully) on schedule and (fingers crossed!) on budget. Yet there is so much more to the role. Project managers are ultimately responsible for the success or failure of a project. As a result, they touch every piece of project—staff, budgets, timelines, strategy, implementation, technology, communication, and more. Though a project manager may not be directly involved in performing the tasks required to complete the project, they are planning, assigning and tracking the tasks, as well as managing the staff responsible for completing the tasks. From start to finish, a project manager is responsible for protecting a project’s vision, even as it is constantly changes. A successful project manager is always running in front of the project, keeping tabs on what is currently happening, as well as thinking about the tasks and potential problems to come. I like to use the U.S. Secret Service as an example of elite project managers. Each day, their objective is to protect the President so he can do his or her job. This means before the President wakes up every morning, the Secret Service has already planned out their strategy for the day—where the President will be going, who will be assigned at what times, etc. If the President changes his schedule, the Secret Service has to adapt. And though they must be focused on that day, they also must be planning ahead—sending advance teams to cities the President is scheduled to visit to get security measures in place, running background checks on visitors, etc. All of this is so carefully choreographed behind-the-scenes, the President may not even be aware of the work involved, just as many outsiders don’t see all that a project manager does on a daily basis. Great project managers are like ducks—calm on top and paddling furiously underneath. They instill confidence in their teams, no matter what is happening with a project. As such, project managers are wonderful role models for traits that come in handy in all sorts of positions. 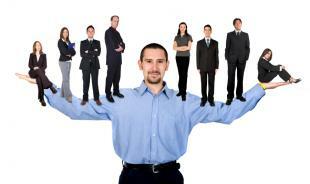 Here are just a few skills necessary for project managers that could help you in your role. Be repetitive. However, train others that nagging is a sign things aren’t getting done. Be comfortable with overcommunicating. NEVER assume someone knows what you are talking about or that they will tell you when they don’t understand. Questions are your best defense against project failure. You can never ask too many, but you CAN ask too few. Respect workflow. Everyone has a different way they approach their work. For example, developers and designers usually need big blocks of uninterrupted time to complete tasks. Project managers must respect these needs and be flexible. Prioritize and re-prioritize. When everything is an immediate need, a project manager needs to be comfortable making day-to-day, or even hour-by-hour, adjustments. Keeping a day’s worth of priorities handy at all times with a long-term calendar you can review when necessary will help you remain flexible. Be calm. Showing your are frustrated or overwhelmed will affect your team. Instill confidence with a relaxed and assured demeanor. Be approachable. As a project manager, you want to know everything that is happening with a project. Show you are willing to listen and be engaged in what the other person is saying ensures your team will be comfortable bringing any issues, big or small, to you right away. While project management skills may be a small part of many jobs, it takes a special type of individual to dedicate their career to these challenges day in, day out, year after year. We’ve shown just a small facet of the many responsibilities and skills of the project management profession, many of which you can use to help you improve in your own work. Are you a project manager? What other skills or characteristics help you succeed in your job?